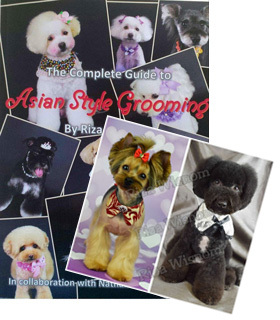 Watch Riza as she teaches you two in-depth tutorials on Asian Freestyle grooming. 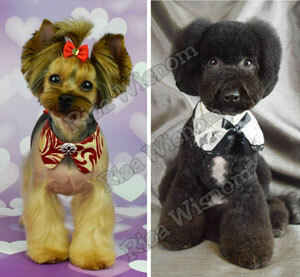 This 90 minute video contains step-by-step instructions on creating an adorable cartoon cut with a panda bear style head and diaper bottom on a Bichon/Poodle mix as well as a sweet looking tie-up and butterfly fans on a Yorkie. Fantastic for visual learners, Riza is detailed and methodical in her teaching style to give you, the viewer, the best chance at recreating these styles in your salon! 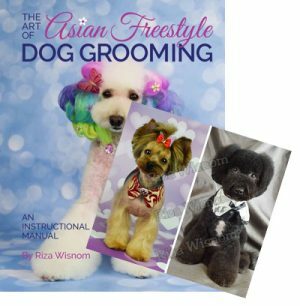 You’ll see and learn her secret styling tips, including creating optical illusions with the coat and how to craft the trademark of all Asian styling — the donut muzzle!